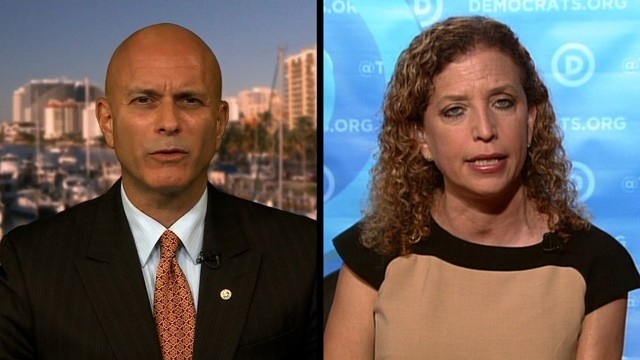 Tim Canova, the Sanders-endorsed primary challenger to former Democratic National Committee chairwoman Debbie Wasserman Schultz, has filed a Federal Election Commission (FEC) complaint against her over details found in the Wikileaks DNC email dump. “It is now clear that our opponent, Debbie Wasserman Schultz, improperly and illegally abused her position at the Democratic National Committee to coordinate against our campaign,” Canova wrote in an email to supporters on Monday. DWS has put her needs ahead of the best interests of the Democratic Party, the progressive movement & the people of South Florida. In his email to supporters, Canova asserts that he learned of his opponent’s abuse of her position through Wikileaks. “Emails exposed by Wikileaks show that the DNC, under the direction of our opponent, used its considerable resources — which are supposed to help elect Democrats — to track me, interfere with our events, and to assist the Wasserman Schultz campaign in communications strategy,” the email states. Canova, a law professor, has faced significant hurdles in attempting to challenge Wasserman-Schultz in the Florida primary. In March, Wasserman Schultz barred her Congressional challenger from using the party’s voter data files — citing a rule implemented in 2010 banning candidates running against incumbents from using the information. “This policy has been applied uniformly across the board since 2010. We stand with our incumbent members of Congress, and we’re proud of the job they do representing the people of Florida. The Voter File is proprietary software created and owned by the Democratic National Committee that is maintained and operated by the Florida Democratic Party here in state,” party spokesperson Max Steele said of the denial. Canova did not back down however, and argued that the rules are unfair. A week later, following massive outrage, the decision was overturned by the Florida Democratic Party. In addition to the attempts to squash his campaign, Wasserman-Schultz has also refused to debate him. Last week, the disgraced Congresswoman finally agreed to the challenge — yet Canova claims that he still has not heard from her to begin planning the event ahead of the August 30 primary contest. “I was initially pleased to receive the news that you would debate me. However, it has been four days since you made your “Yes, I will debate my opponent” statement to Anthony Man and Rosemary O’Hara of the Sun Sentinel newspaper and I have still not heard from you or anyone on your campaign about setting a schedule for debates. I understand that at least one local TV reporter called your office last week about scheduling a debate, and that he has still received no response,” Canova wrote in an open letter on Medium. Tens of thousands of voters have signed petitions calling for the debate. “Unfortunately, in the eyes of so many, your decision to continue dodging debates reflects contempt for fair and open elections and for democracy itself,” Canova concluded his letter. Wasserman-Schultz resigned from her position at the DNC last month, following Wikileaks proving that party officials actively worked to undermine the Sanders campaign. She was immediately hired by Clinton to take over the top role in her campaign, as the honorary chair to all 50 states.